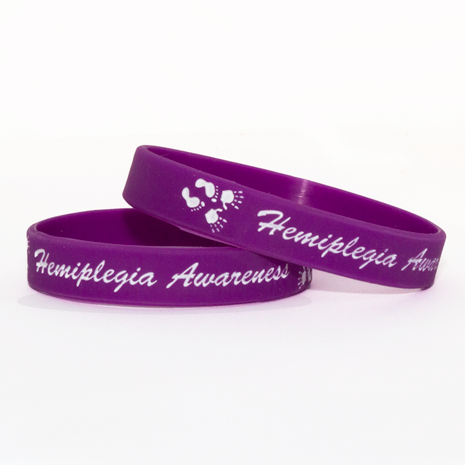 HemiChats awareness bands with white embossed writing and in traditional Stroke Awareness purple. Size is 202mm x 12mm. Child sizes currently out of stock.